We are delighted to have won our 20th RIBA Award for Old See House in Belfast, in association with RPP Architects. 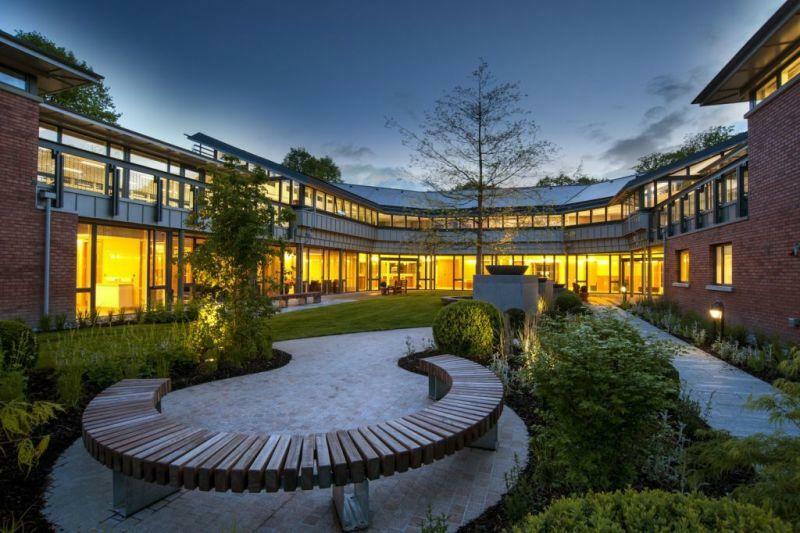 Old See House is a mental health facility which brings together three functions never before co-located - a consulting facility, a day centre and an eight bedroom short-stay residential section. Dr Michael McBride, Chief Executive of Belfast Health and Social Care Trust said "it is truly an outstanding building and service, and an exemplar of a therapeutic environment. Public areas are well designed, offering openness yet privacy where required. Treatment rooms are light and airy, looking out onto landscaped courtyards, creating a peaceful setting for its users and staff." 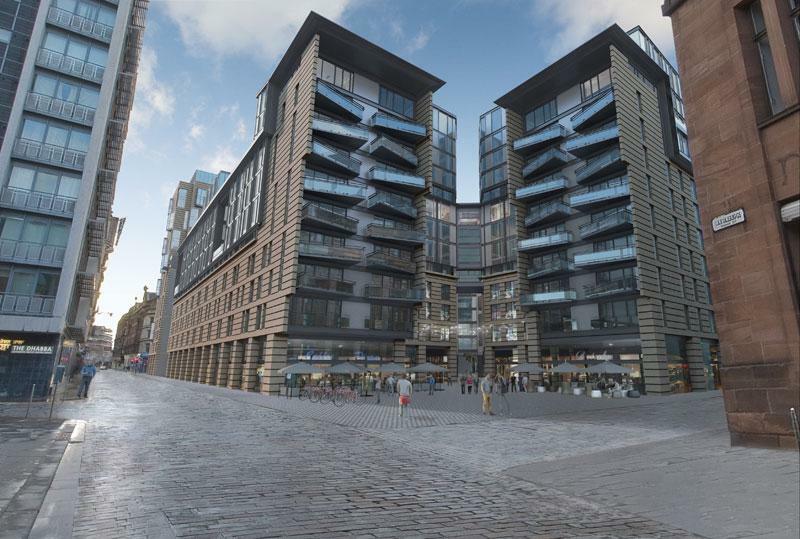 A planning application has been submitted for a £110m mixed use regeneration scheme at Candleriggs Quarter - seen by many as one of the last pieces of the Merchant City regeneration jigsaw. The proposal for this new urban block creates extensive new public realm space, residential apartments, student accommodation, a boutique hotel and retail space. The 1.49ha site has lain derelict following the closure of the Goldbergs store and was partly cleared of buildings last year to tidy up the area ready for the 2014 Commonwealth Games. Planning permission was granted in March for the Science Faculty Building at Anglia Ruskin University’s East Road Campus. Morgan Sindall has been appointed as contractor on the project. The £20m Science Faculty building brings together teaching, postgraduate and staff facilities for the different departments and includes a 304 seat lecture theatre and a 202 place ‘super laboratory’. This state of the art bioscience laboratory represents a new way of teaching science where several classes from different disciplines can be taught at the same time within one space. Professor Ric Russell OBE wrote, “I have to say it is an extraordinary feat to have accommodated so much commodity into a small urban gap site. Possibly the most memorable aspect is the intensity of "murphyisms" with every corner and detail interlocked composed and carefully controlled. 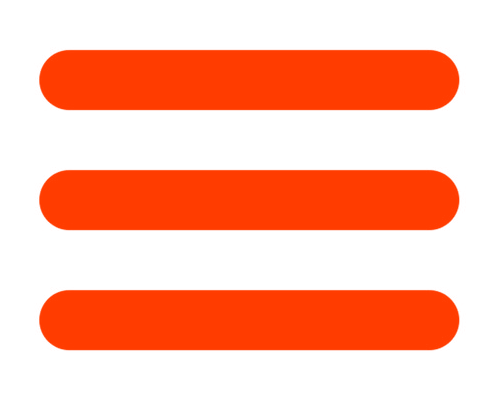 A real three dimensional " tour de force." 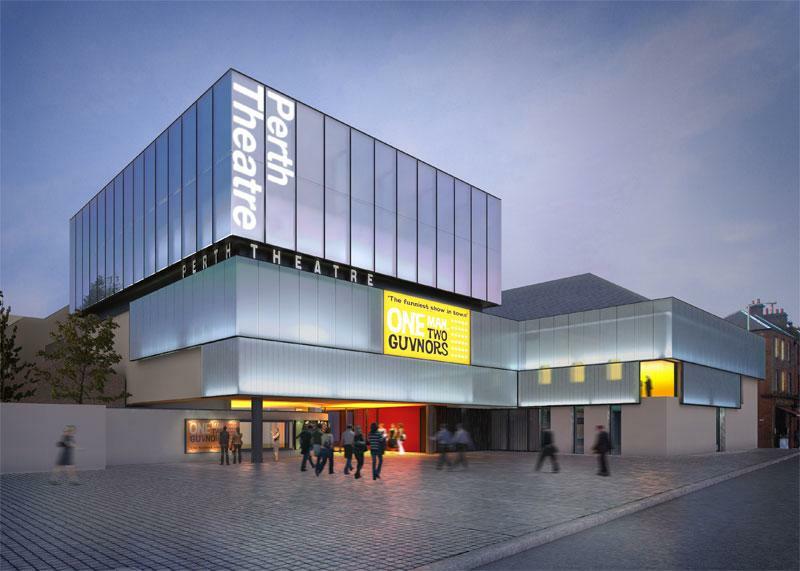 A planning application will be submitted at the end of May for our project to renew and enhance the existing Edwardian Theatre in the centre of Perth. New performance, social and workshop spaces will be created, in addition to repairing and restoring the existing space. Robertson/Amber Blue consortium have been appointed through the Hubco to take the project forward. Planning permission has been granted for seven new mews style properties with private gardens to the rear at Lowther Terrace in Glasgow. 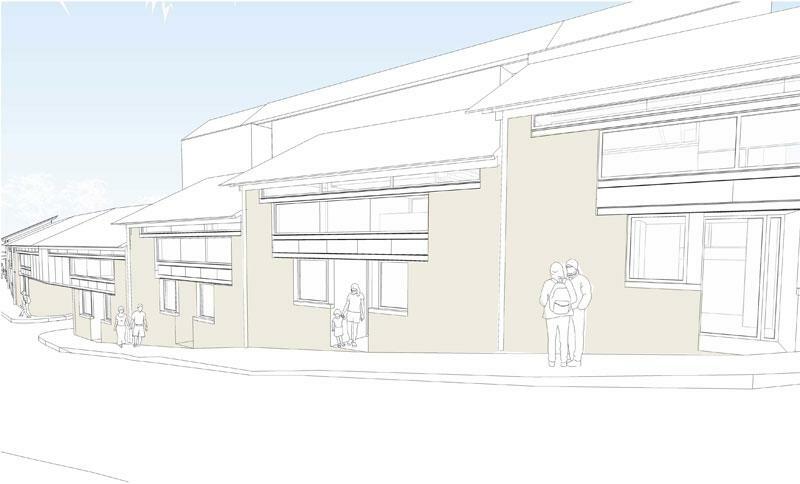 The properties will face onto Redlands Lane, with a new private access road and new off-street parking for both the Mews development and the existing flats on Lowther Terrace. The project is anticipated to start on site in early 2016. 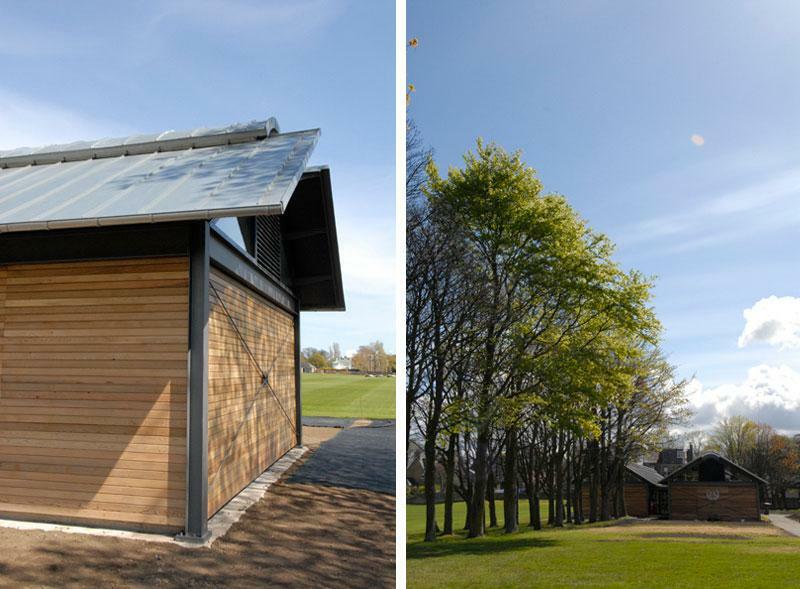 Our latest project for Edinburgh Academy - the Hockey Pavilion has been completed and was handed over to the client on the 1st May. The new Pavilion has been deliberately orientated on a North South axis on par with the tree line, with its long and low profile designed to minimise the visual impact on surrounding residential properties. The next project - the Rugby Pavilion - will now start on site. Sport has long been an integral feature of life at Edinburgh Academy, and these new buildings will achieve the client's aim to bring their sporting facilities up to the highest level. Our project for the addition of a café to the British Golf Museum is progressing well on site and is due for completion at the end of May. The first floor café sits above the museum display, shop and reception with the majority of the 80 seats looking west towards the 1st tee and fairway. 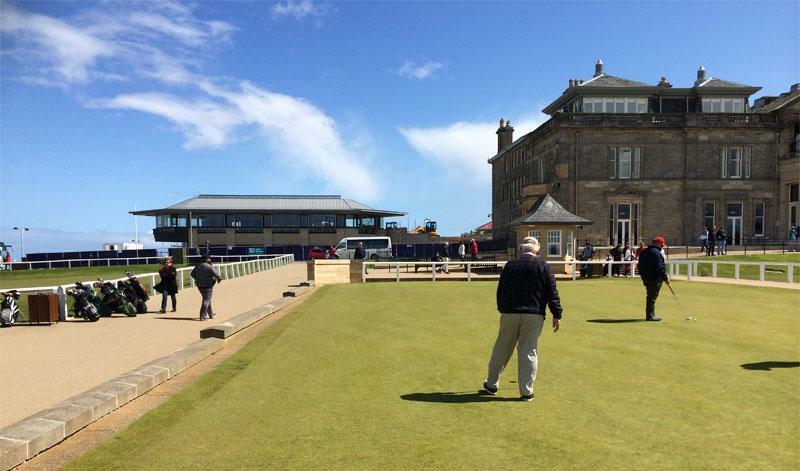 The British Open will take place in St Andrews from 12-19 July 2015, and the cafe may well be visible in televised coverage as the backdrop to the 1st tee. With 14 weeks remaining on site at Young Street the cranes and scaffolding are now down. 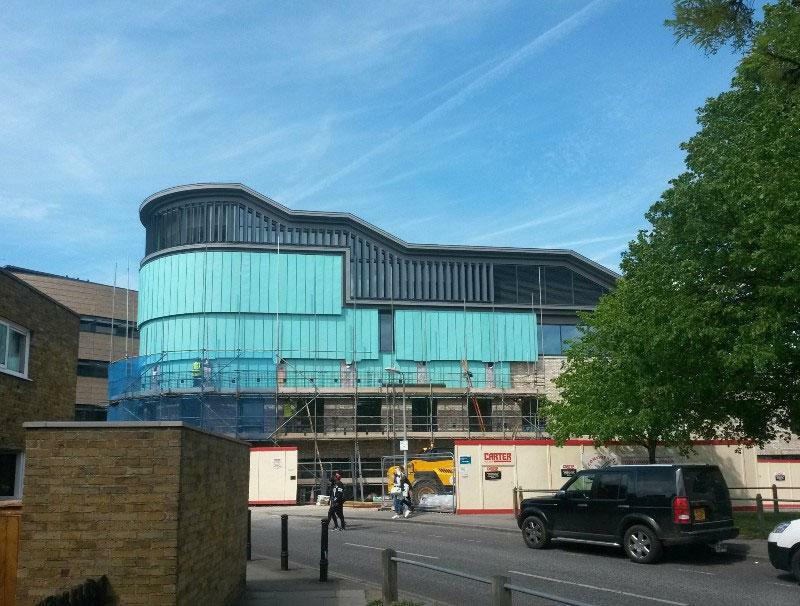 This phase of construction, due for occupation in September 2015, will provide two additional buildings which includes a 200-seat lecture theatre, a café, seminar rooms, office space, the Vision and Eye Research Unit (VERU) and extensive cycle parking. Piling has just started on site in Dunfermline, and the existing B listed bank building has been hollowed out and is ready to accept the new insertion and extension. Richard was recently asked to lecture to the Icelandic Association of Architects. He also managed to co-ordinate his diary to lecture in the Faroe Islands during the week of the eclipse. The office welcomed engineering students from the Cork Institute of Technology to the office in March. Richard talked to them about the work of the Practice and then accompanied them on a tour around some of our local buildings including his house at Hart Street. The RSA Discourse will take place on the 19th May with Glenn Murcutt being introduced by Richard Murphy. We are very excited to report that Richard has been invited to lead a workshop at the Università IUAV di Venezia’s annual architecture summer school in Venice between 29 June to 17 July, including a public lecture of our work. Some of our other members of staff will also be attending as 'assistants'. The school consists of 28 workshops and attended by some 1,800 students. The Candleriggs planning application was covered extensively in the architectural press, including the Architects Journal, BD, Project Scotland and Urban Realm. It was also covered in the press locally by the Evening Times and the Daily Record. The Science Faculty building at Anglia Ruskin University was featured locally in the Cambridge News. In January Business Secretary Vince Cable said: "This investment will mean world-class teaching facilities to build tomorrow's skilled workforce." The RIBA Award winners and shortlists have been covered by a number of news outlets: you can see the BBC news coverage of the RIBA NI winners here, and the RIAS shortlist, which includes our Ravelston Dykes project, here. 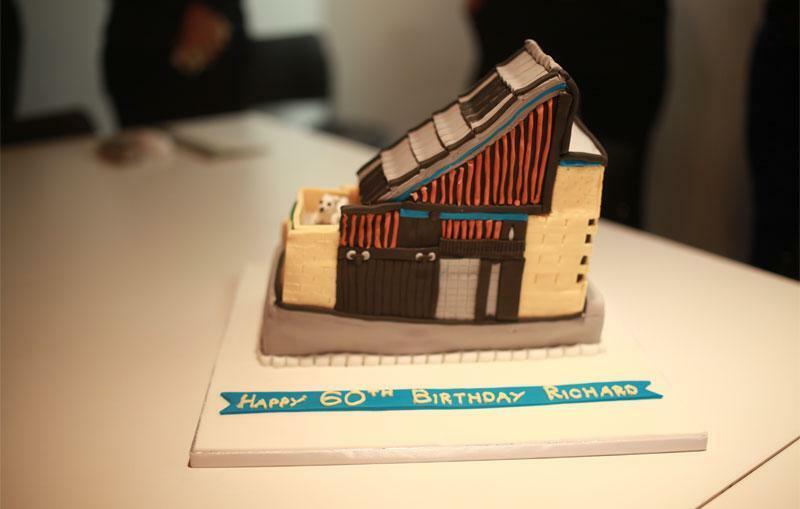 Richard celebrated his 60th birthday in style, with a custom-made Hart Street cake (complete with Hiccup the dog) and the news of the 20th RIBA award win for the Practice.